This isn’t too much of a recipe, more like inspiration for when you wake up on Sunday morning feeling not your best from too much [Settlers of Catan] the night before. This is the signature breakfast sandwich of my house, and there is no better feeling than introducing others to the magic that has made so many lazy weekend days many times more enjoyable than they would be if you’d stuck to dry cereal straight out of the box. 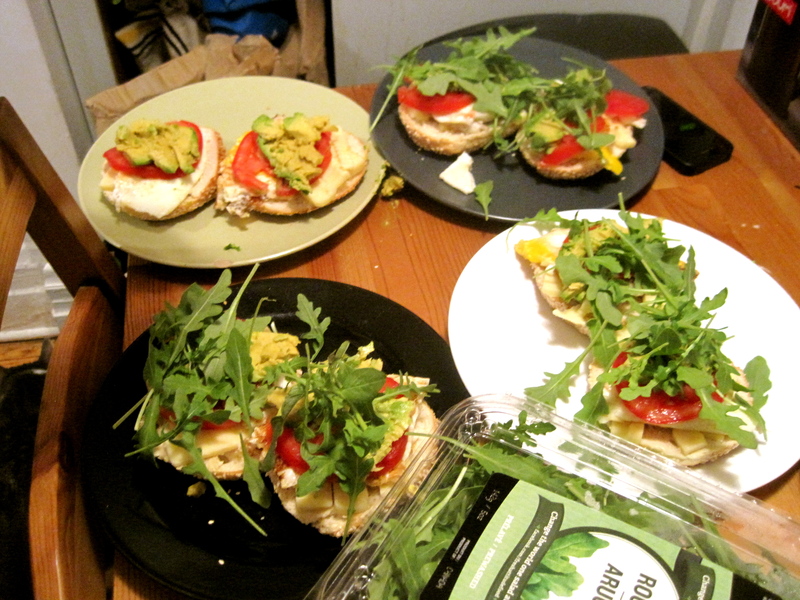 My roomies and I have this sandwich down to a twenty-minute science, including grocery shopping for any missing ingredients–you may need a few dry runs before reaching this level of mastery, but practice makes perfect, and more Sloppy Johas are never a bad thing. 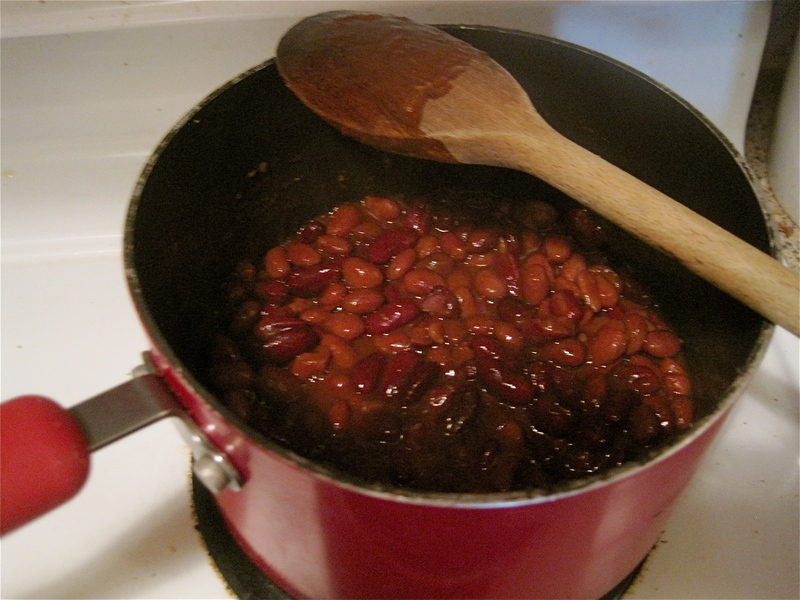 Put beans on to heat up first. Start toasting bagels. Start frying yer eggs! 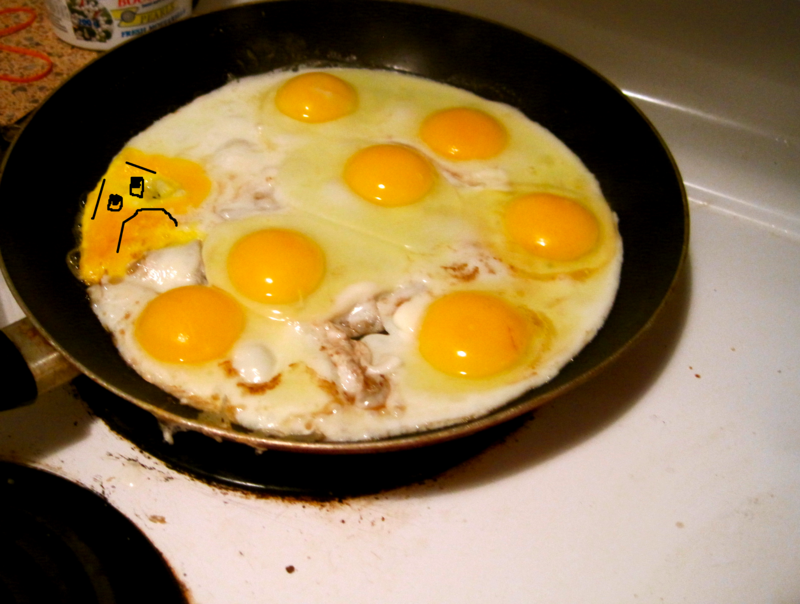 Sometimes a yolk breaks and it is sad but not the end of the world. 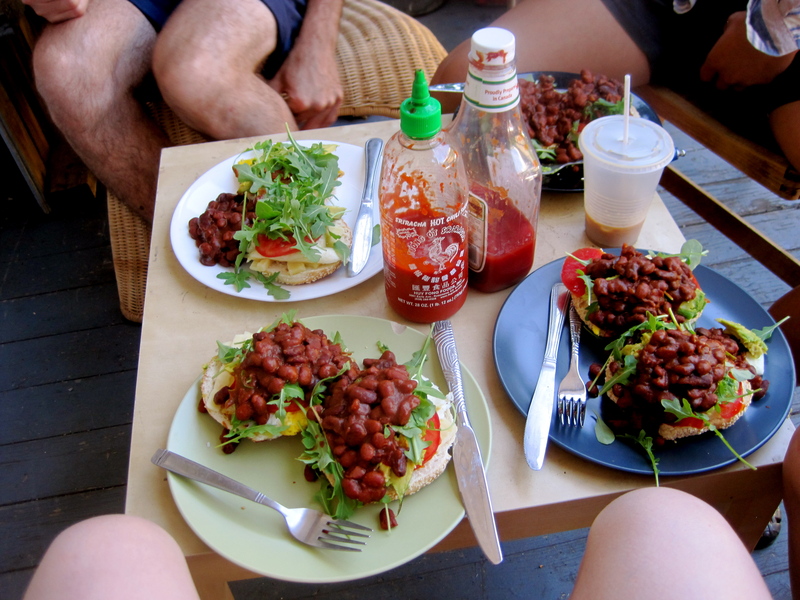 Also, Rachel once made Sloppy Joha’s for six people at the same time. That’s a record! 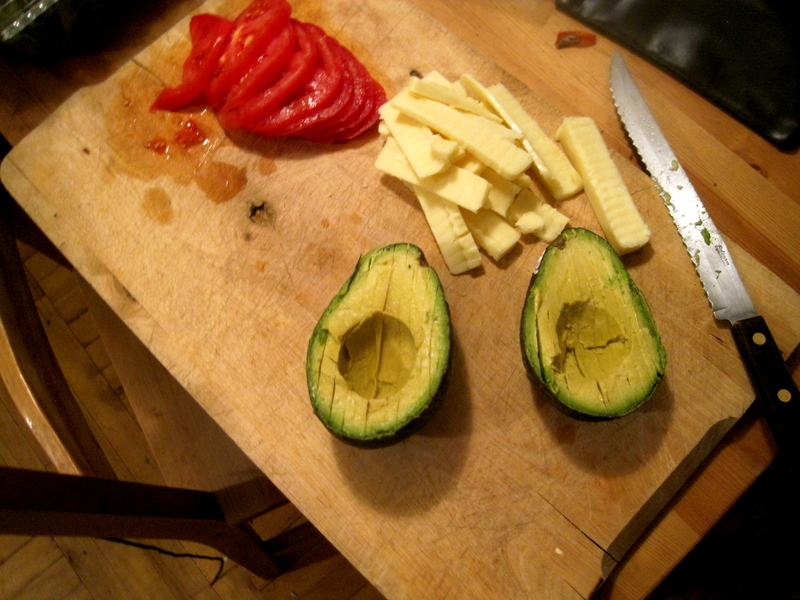 Do whatever rudimentary slicing needs to be done. If you have time to stick the cheese on the bagels while they’re still in the toaster, please do! ASSEMBLY! The most important thing is to put the baked beans on top for a true Sloppy. If you put them on the side like Cam on the top left of the picture below, you are a weiner. 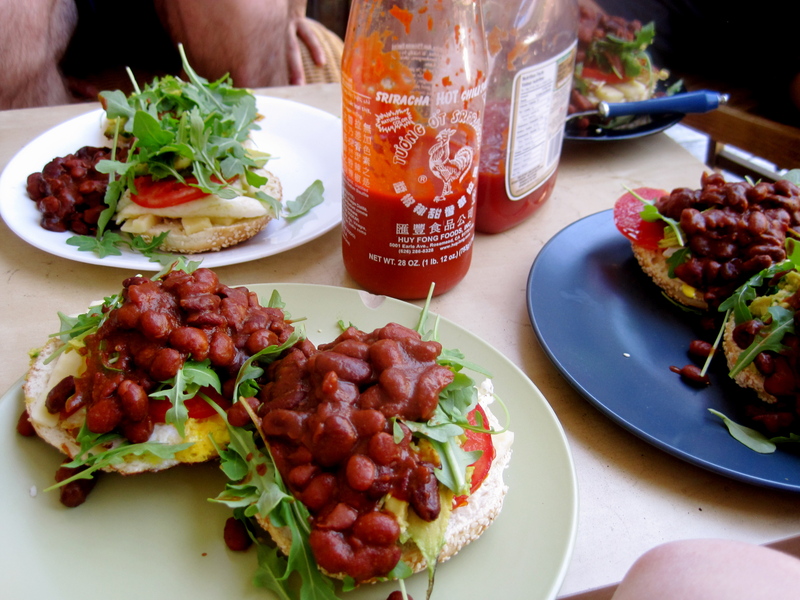 Enjoy on a balcony, with plenty of ketchup, hot sauce, and iced tea/coffee. It is the nature of Sloppy Johas to require forks and knives, some very brave men and women have attempted otherwise but most have failed.